In peak seasons and busy periods, it's important to have a mobile computer with low power consumption to sustain long operating hours. Ergonomically designed for shift-long comfort and compact enough to keep with you all day long, the 8200mobile computer gives you reliable performance and continuous productivity shift after shift. , Mobile Computer, Batch, America Exclusive, Laser, 4MB, 24 Keys, US/EU/UK/AU. Interface Cables And Charging Cradle Sold Separately. , Mobile Computer, Batch, America Exclusive, Linear Imager, 4MB, 24 Keys, US/EU/UK/AU. Interface Cables And Charging Cradle Sold Separately. , Mobile Computer, Batch, America Exclusive, 2D, 4MB, 24 Keys, US/EU/UK/AU. Interface Cables And Charging Cradle Sold Separately. 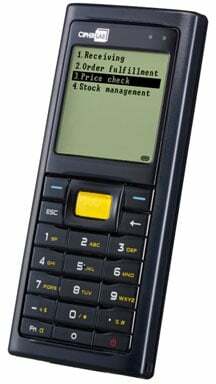 8200, Mobile Computer, Bluetooth, 80211 B/G, America Exclusive, LINEAR IMAGE, 4MB, 24 Keys, US/EU/UK/AU. Interface Cables And Charging Cradle Sold Separately. Batch, Laser, 8MB, 24 Keys, KIT, US/EU/UK/AU. Interface Cables And Charging Cradle Sold Separately. Batch Mobile Computer,1D Laser, 4Mb, 24 Keys. Interface Cables And Charging Cradle Sold Separately. Batch, Linear Imager, 8MB, 24 Keys. Interface Cables And Charging Cradle Sold Separately.